Universal metal stand for almost all smartphones and tablets. Provide a good way to protect your cell phone, E-book, Tablet, Mobiles from bumps. Suitable for horizontal and vertical use. MODERN STAND FOR A MODERN ERA: The iPhone Desk Stand has a solid aluminum construction designed for smartphones. COMPATIBILITY: The iPhone Desk Stand is compatible with all smartphones; iPhones, Galaxy smartphones, etc. are compatible. All cases and most other smartphone cases are compatible with the iPhone Desk Stand. THE PERFECT ANGLE: Your smartphone will sit perfectly in the Stand to receive incoming video calls, watch movies, etc. without the hassle of having to handle your phone. PERKS OF THE DESIGN: The Cable Management on the back of the Stand allows you to neatly organize your cables when recharging the battery or for data transfer to your smartphone. Include: iPhone Desk Stand 1pcs, Organizes your desk and enables full access to your smartphone features easily. 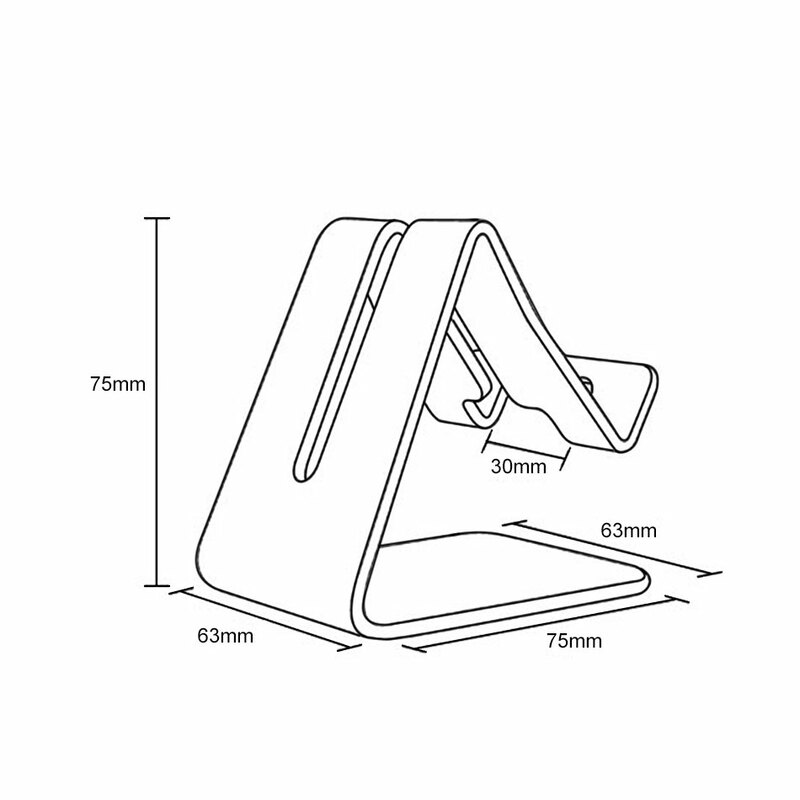 iPhone Desk Stand design is adaptable with a variety of hard cases. Stylish and compact design, a great gift for your friends and a great decoration for your desk. Ideal for mobile phone shop or personal use. A perfect gift for your family and friends! Note: This item fits the mobile phone and for iPad mini (7.9″), but it is too small to hold bigger tablets, like for iPad 2/3/4/Air (9.7″). You can check some other top iPhone accessories that we offer here.